A recent study looking at Virgin Coconut Oil and Hypertension was just published in Malaysia in the journal Evidence-Based Complementary and Alternative Medicine. The study compared a diet of “five-times heated palm oil” with Virgin Coconut Oil, and a control group. The study found that while repeatedly heated unsaturated palm oil raised blood pressure, the saturated fat of Virgin Coconut Oil lowered it. 1. Unsaturated oils are not suitable for high heat applications, especially deep fat frying. They create free radicals as they are highly prone to oxidation, and their effect in the body is associated with hypertension and heart disease risk. 2. Saturated fats are not prone to oxidation and free radical damage. Certain kinds of Virgin Coconut Oil are actually high in antioxidants which are positively associated with reducing oxidative stress, and thus with lowering blood pressure. People living in tropical areas are beginning to figure out that they have been deceived by the so-called “research” in the area of dietary oils coming out of the U.S. for the past 30 to 40 years. The conventional nutritional wisdom in the U.S. for many years now has been that the polyunsaturated oils are heart-healthy, while saturated fats lead to high cholesterol and heart disease. However, as many populations in tropical areas switched from their native dietary oils such as coconut oil, and replaced them with mass-produced unsaturated oils, their rate of hypertension (and other problems like obesity and type 2 diabetes) have actually gone up. 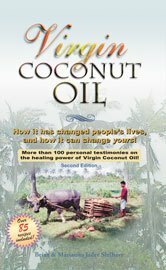 We have documented many of these studies in the Peer-Reviewed Research section of CoconutOil.com (one example here). So, in the present study conducted in Malaysia, the concern of the researchers was the predominance of heating “palm oil” in current Malaysian cooking practices, especially when it is reheated several times. It should be noted that “palm oil” in its pure unrefined form (not the subject of this study), is a mixture of various fatty acids, with almost 50% being saturated, and the other 50% a mixture of monounsaturated fatty acids (similar to olive oil) and polyunsaturated fatty acids (similar to corn or soy oil). For this reason, mass-produced cheap commercial palm oil has usually been fractionated to separate out the saturated fat (long considered unhealthy) from the rest of the oil. The saturated portion is then marketed as “shortening,” typically for the food industry, while the liquid portion remaining is sold as “cooking oil” to the consumers. Unfortunately, the consumers then end up purchasing the wrong portion of palm oil for high-heat cooking applications, due to faulty information promoted in the West for so long condemning saturated fats! This study was conducted with that kind of palm oil, and their goal is to try and help re-educate people in Malaysia as to the dangers of heating liquid unsaturated oils. The one type of fat that is not prone to lipid peroxidation, of course, is saturated fat. Coconut oil contains the highest ratio of saturated fatty acids of any dietary oil, and they are very healthy medium chain fatty acids. Virgin Coconut Oil, particularly traditionally produced Virgin Coconut Oil, is high in antioxidants, and in fact the antioxidant levels increase with heat! (See: New Research Highlights High Antioxidant Activity of Traditionally Made Coconut Oil) This is of course assuming that you are not burning the oil and exceeding its smoke point at around 350 degrees F. But even then, one would not cause the lipid peroxidation break down that occurs in unsaturated dietary oils. 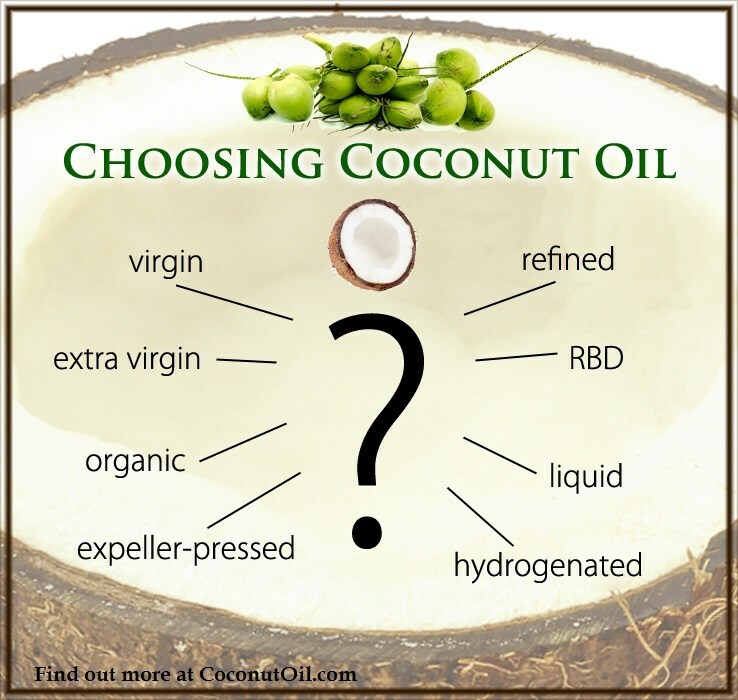 It is no surprise that this study found that Virgin Coconut Oil supplementation was actually effective in treating high blood pressure, which resulted from consuming unsaturated oils that had been heated too much, causing oxidative stress. Which Dietary Oils Should You be Using for Cooking? The research today is very clear: unsaturated oils are damaged by high heat resulting in free radical damage that is linked to heart disease. Saturated fats, on the other hand, are not damaged by high heat and not prone to lipid peroxidation. The unsaturated fats include the monounsaturated liquid oils (olive oil, canola oil, safflower, sunflower) and the polyunsaturated liquid oils (corn oil, soybean oil, cottonseed). Unfortunately, these dietary oils are probably what almost all consumers and restaurants are using today in high heat cooking. The polyunsaturates are the worst, because they are damaged more easily by high heat cooking, and most of them are also sourced from GMO crops with heavy applications of pesticides. The best oils for cooking are actually called “fats”, which simply means a solid oil. These are the heat-stable saturated fats, and include: coconut oil, palm oil (whole or fractionated palm shortening), butter, beef tallow, and lard. It is best to keep them below their smoke points, generally around 350 degrees or so. The exception is palm shortening, which has a smoke point of around 450 degrees, and therefore is the best fat for deep frying. Sadly, with the exception of butter, you seldom find these traditional fats in the market place anymore, although coconut oil is starting to make a comeback. When the fast food burger industry was just getting started, beef tallow was a very common ingredients in fryers to make french fries. It makes sense, as the growing ground beef burger market would have had a plentiful supply of beef fat as a by product. But, as the politics of dietary oils started to take shape in USDA dietary policy, saturated fats were demonized in favor of polyunsaturated oils. It is no coincidence that the crops these new polyunsaturated oils came from were the cash crops of the United States, and heavily subsidized by the U.S government. Are Unsaturated Fats the Primary Cause of Heart Disease in Modern Times? Ironically, as more and more research begins to surface by those with no vested interest in the U.S. cash crops or pharmaceutical industries, we are learning that almost the exact opposite of what we have learned about fats and oils for the past 50 years is actually true. We were led to believe that the traditional saturated fats of our forefathers, who did not have the same rates of heart disease as modern societies, were the cause of high cholesterol and heart disease. But in fact, the scientific research continues to point in the opposite direction, that it is the newer expeller-pressed polyunsaturated seed oils that cause hypertension and heart disease. In the meantime, the vegetable oil and pharmaceutical industries continue to make a windfall of profit at the expense of American’s health, and it will continue to do so until people do their own research and find out the facts. Traditional fats are the way to go, and as more people learn this and demand them in the market place, hopefully new suppliers will arise to meet the demand. The health of our nation is at stake here, as well as the health of many other countries around the world who have followed the American example, forsaking their own traditional saturated fats for the cheaper mass-produced polyunsaturated fats.